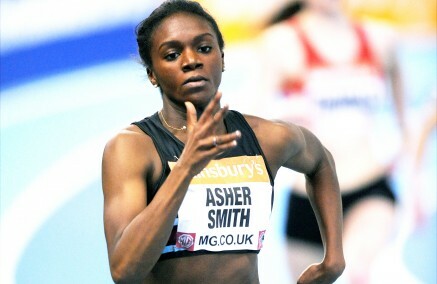 18th May 2014 – European Junior 200m Champion Dina Asher-Smith (GBR) smashed her personal best to win the 100m in the Loughborough International. The John Blackie coached athlete clocked 11.20 secs to move to the top of the World Junior lists for 2014 and 2nd behind Jodie Williams, who finished 2nd to her today, on the British Junior All-Time list. European 400mH Champion Rhys Williams (GBR) opened his season with a 50.08 clocking for 2nd in the 400mH. At the Manchester City Games Andy Turner (GBR) won the 200mH in 22.58 secs ahead of Felix Sanchez one hour after placing 2nd in the 110mH in 13.55 secs. Kemar Bailey-Cole (JAM) finished 2nd in the 150m in 15.00 with Mark Lewis-Francis (GBR) 4th in 15.22. Chris Tomlinson (GBR) placed 3rd in the long jump in 7.77m with Christine Ohuruogu (GBR) 3rd in the women’s 200m. Jeremiah Mutai (KEN) ran his career fastest 800m outside Kenya with a 1:44.85 clocking for 4th in the 800m in the IAAF Diamond League in Shanghai. Phillips Idowu (GBR) placed 6th in the triple jump in 16.47m. Magdalyne Masai (KEN) set a personal best for the 3000mSC with 9:52.97. At the Bangalore 10k in India 2009 World Champion Linet Masai (KEN) placed 3rd and Thomas Ayeko (UGA) 4th. World Junior 4th placer Niall Brooks (GBR) showed a continued return to form with a 1:47.87 in the 800m in the BMC meeting in Watford.